For the next few weeks, gym memberships and diets will soar. Job losses and divorces will rise. Some people will decide to go back to church, while others will decide to leave their church. Some will leave for another church. Others will leave the church for good. Those who choose to go back to church will have about the same success rate as diets and gym memberships. But those who decide to leave will probably succeed at it. Sadly, it's one of the few new year's resolutions that people almost always keep. Your current church may have more to offer you – and you to offer it – than you may realize. Are There Good Reasons to Leave a Church? Many of us have bought into the myth that, if a church is not growing numerically, it must be broken. I call it The Grasshopper Myth, and it’s so prevalent I wrote a book about it. 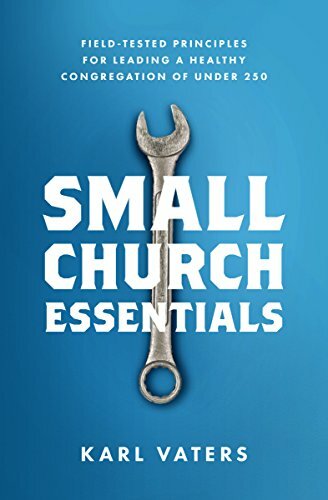 If the ‘problem’ with your church is that it’s not getting bigger, I have good news for you. Small is not a problem. Is it possible that the church’s lack of growth is a sign of deeper problems? Of course. If so, the church needs to address those reasons. But if the only issue you have with the church is its small size, that’s not a reason to leave. On the opposite side of the church size coin are people who leave because the church is getting 'too big' for them. I may be a small church guy, but I don't believe a church can get too big. Yes, some churches do unhealthy things to get big. But other churches do unhealthy things that keep them small. Either way, the problem is ill-health, not size.